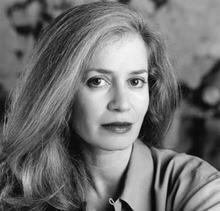 Amy Hempel is the author of four short story collections: Reasons to Live (1985), At the Gates of the Animal Kingdom (1990), Tumble Home (1997), and The Dog of the Marriage (2005). The Collected Stories of Amy Hempel (2006) gathers all the stories from the four earlier books. I first heard your story "In the Cemetery Where Al Jolson is Buried" read on WFMU freeform radio in the '90s, and hunted down your story collections. You evoke the beauty of trees in autumn using the framework of their bare branches in winter, an economy of perfection I strive for in my own work. I have your Collected Stories. Every one of them is wondrous. It was actually through Fictionaut that I was introduced to your work--"...Al Jolson" my first read of yours. And what a first date! It is extraordinary. Thank you for being a part of this community. So happy to see you on here. I adore your work. Hello, it would be an honor for an established author such as yourself read some of my work. Thank you in advance. You must log in to write on Amy Hempel's wall.